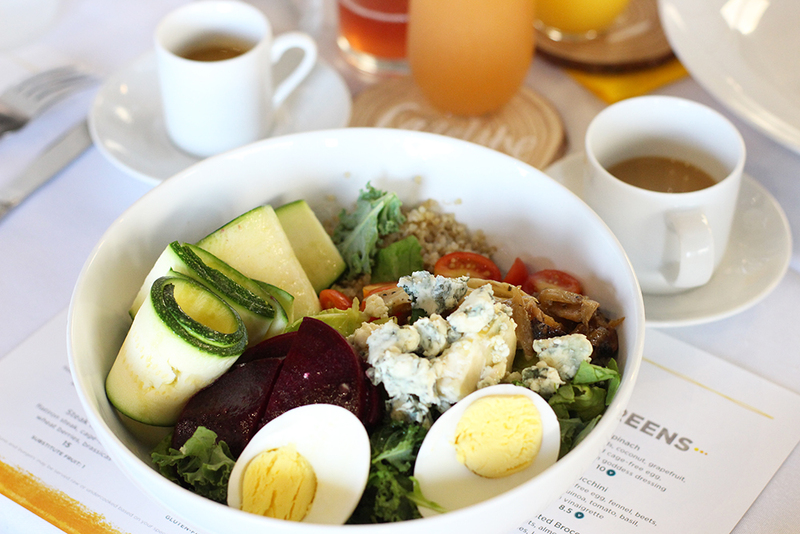 With its bright interior, honest ingredients, and neighborhood vibes, we loved brunching at UP Inspired Kitchen! Though it is a short drive north to Frisco, I highly recommend brunching at UP Inspired Kitchen soon! We had the most beautiful tablescape for this brunch and it matched the bright yellow restaurant accents perfectly! Our floral arrangements were by Stephanie of The Pearl Petal and they were beautiful! 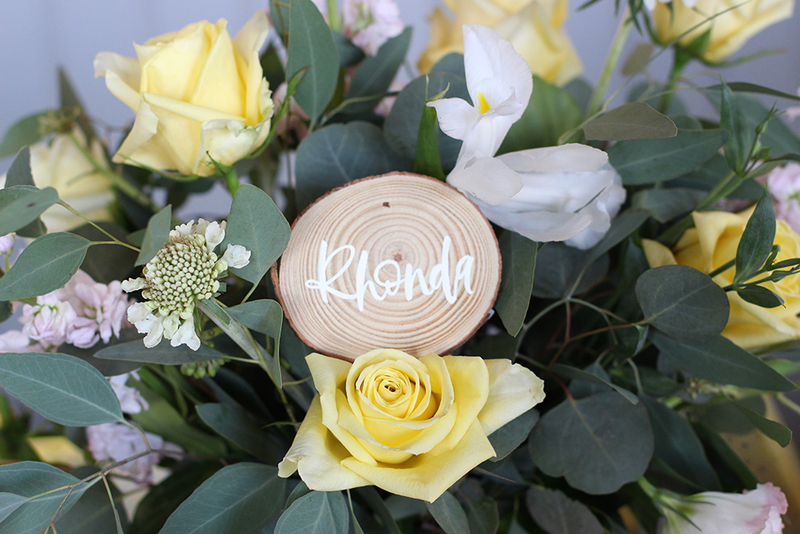 Our beautiful wood slice place cards were made by Caroline of Papercase Studio and are now available for sale in her shop! I love partnering with talented local creatives like these two ladies to make our brunches extra special each month! Everything the girls ordered was delicious, but I was most excited to try the UP Cakes! A fluffier and healthier version of pancakes, the UP Cakes were delicious and I didn't have any regrets after brunch! Some of the girls had dietary restrictions and were able to try some of UP's gluten free and vegan friendly options! 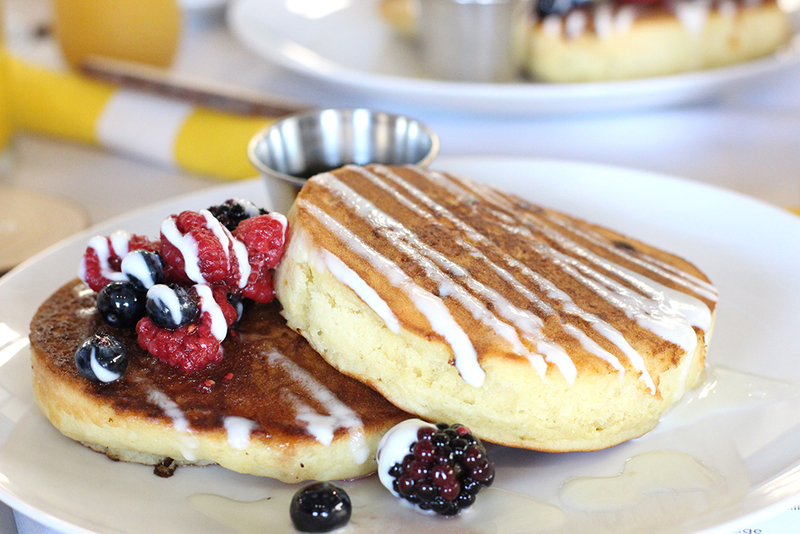 I loved being able to have something on the brunch menu for all of my guests this month! 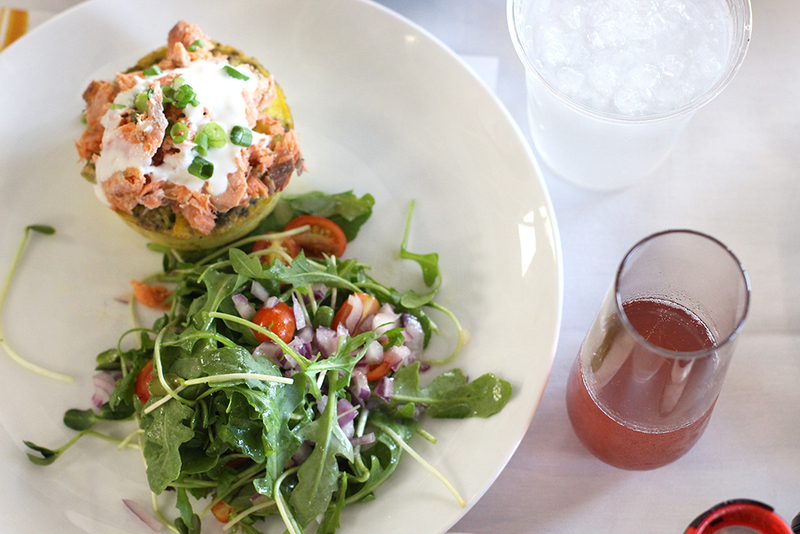 The Salmon Fritt below looked so delicious and still healthy, served with a sprouted side salad! UP Inspired Kitchen even has a fun twist on mimosas; they serve a mimosa platter, featuring Kombucha as one of your juice options! Thank you to UP Inspired Kitchen, Papercase Studio, and The Pearl Petal for making this brunch a success!